The total length of first phase will be 31.24 km. 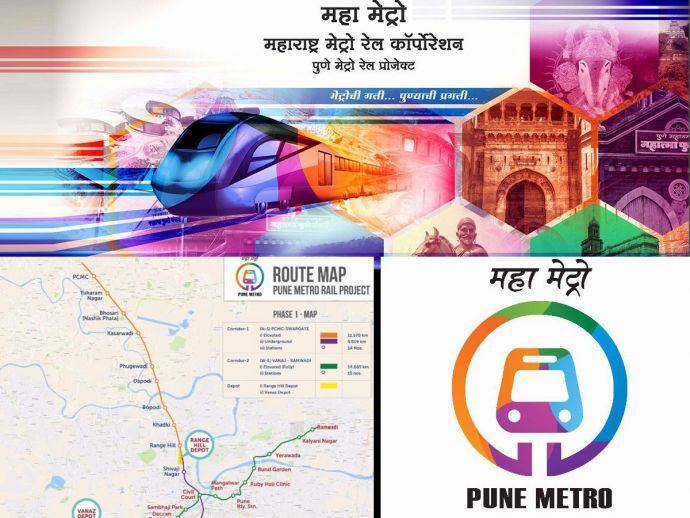 The official Pune Metro Rail releases its revised aligned Phase 1 map. New, multi-storied, world class interchange station will be constructed at Civil Court for all the 3 routes. 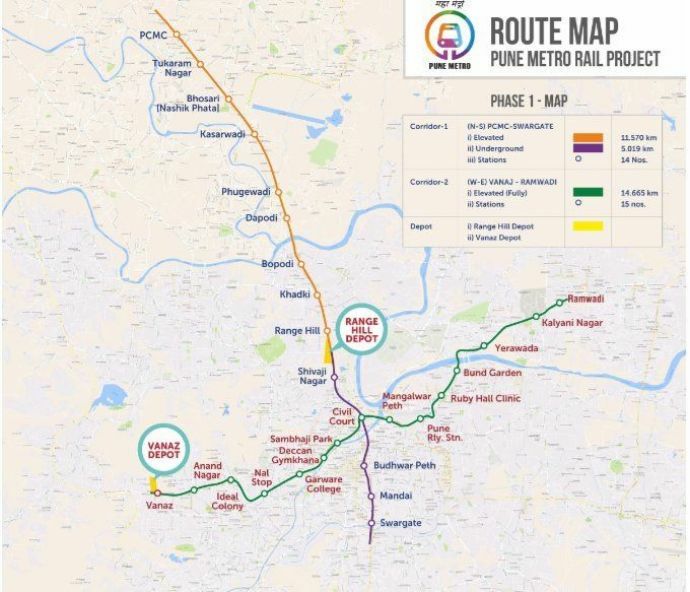 Pune Metro Phase 1 will cover an aggregate length of 31.2 km. 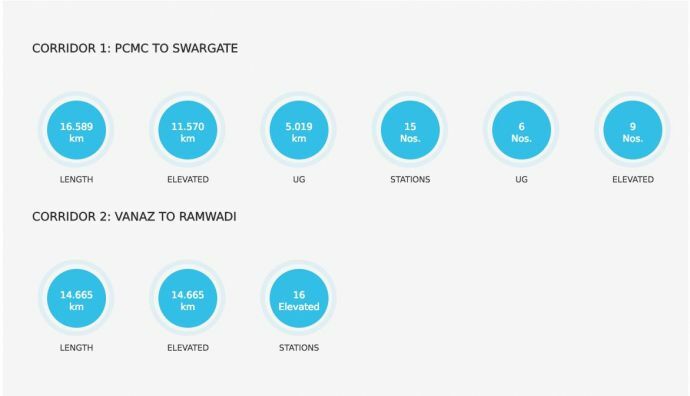 Corridor 1- PCMC to Swargate, a length of 16.589 Km with 5 Km underground and 11.5 Km elevated, comprising 15 stations (9 Elevated and 6 Underground).